If you’re considering renting an RV for an upcoming trip, you may be feeling a bit overwhelmed by all the options out there. From teeny tiny pop-up campers to huge class A giants, there are literally hundreds of different rigs to choose from, and deciding which one is right for you may seem downright impossible. That’s why we’re here today. 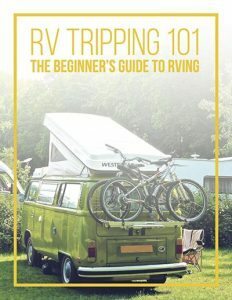 In this RV rental guide we’re going to discuss the various types of RVs, the pros and cons of each, and how to choose the right RV for you. By the time you’re finished reading you should know exactly what you’re looking for how to choose an RV that’ll suit your needs perfectly. Let’s begin by discussing the various types of RV so you can answer the question, “What type of RV is best for me?” By learning the types of RVs to rent, you’ll be able to quickly rule out entire categories and narrow down your searches, making choosing the best RV rental much easier. These trailers are pulled behind a truck or SUV. They hitch up to the back of the vehicle and come in a number of styles and sizes. Teardrop campers, pop-ups, hybrids, and A-Liners are all good bumper pull options for those driving smaller vehicles. However, even most of the biggest bumper pulls can be moved by a half-ton or ¾-ton truck. Fifth wheels tend to be bigger than bumper pull trailers. They must be pulled with a truck, as the hitch for these trailers is located in the bed of the truck. These RVs are great for families or those who will be camping long-term, as they provide more space and a higher ceiling. A class B motorhome is what many would refer to as a campervan. These tiny motorhomes are perfect for parking in small places, and they drive like a dream. Most contain a kitchen and a bed, and some even have a bathroom. Class B motorhomes are ideal for one or two people who wish to travel quickly, but because they are such a small RV type, they don’t work well at all for those with parties of 3 or more, or for those who wish to camp for a long time. A class C RV rental is the perfect option for those who are looking for a motorhome that is a bit more spacious than the class B, but still relatively easy to drive and park. This type of RV has the classic motorhome look, with the bed that juts out over the cab. Class C motorhomes can be very short, but many are quite long to accommodate large groups. Finally, there is the class A motorhome. This is the type of RV that looks and drives like a bus. Driving one of these does take some getting used to, but many people find they prefer this type of driving experience after some practice. Class A RVs tend to be the most luxurious of the RV types, and are very well made with many handy features. Knowing about all of the RV types is great, but sometimes it’s better to start with a broader question. Is choosing a type proving too difficult? You might instead ask yourself whether you prefer a towable RV or a motorhome. For those who wish to do a lot of traveling during their rental period, a motorhome is likely the best RV to rent. 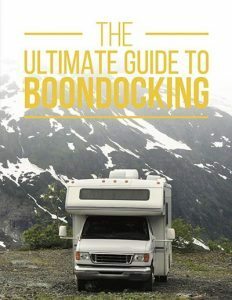 Hopping into a motorhome is much easier than hitching up each time you want to move. Additionally, driving a motorhome tends to be a lot easier than towing. That said, while trailers are a completely different type of RV, they do have pros of their own. One of the biggest benefits to renting a trailer is the space some of these rigs offer. 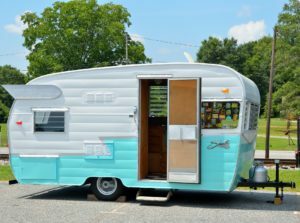 Therefore, if you’re looking for an RV that offers a lot of space and you don’t plan on moving often, a trailer might be for you. If you’re thinking, “A trailer is definitely the best RV for me,” but you don’t want to have to tow it, look into delivery. 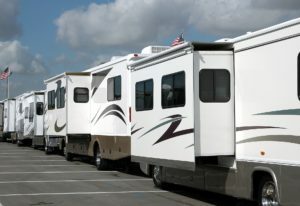 Many RV owners are happy to deliver their rigs, making everything much simpler for the renter. Are you still wondering, “Which RV is right for me?” That’s okay! Now that we’ve discussed RV types, let’s discuss RV sizes. Obviously, the best RV for one person is going to be much smaller than one that suits a large family. Additionally, if you’ll be towing the rental unit, you will want to consider the towing capacity of your vehicle. Of course, even if you plan on renting a driveable, you will want to take your comfort levels into account. 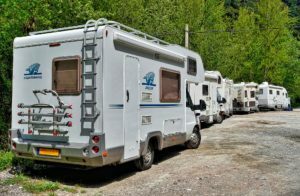 Other things to consider when choosing the right RV size are 1) the size of the campsites you’ll be using—many national parks have very small sites—as well as 2) whether you require things like permanent beds, private bedrooms, or multiple bathrooms. All of these things will have an effect on the size of the unit you pick. By now, you’ve narrowed your options down and taken steps toward answering the question, “What RV is right for me?” Still, some people will want to know which rentals are the best RVs overall. Unfortunately, it’s impossible to say. There is no “best small RV” or “best RV for two adults”. There is only a best RV rental for you. Therefore, we recommend taking the information above to narrow down your options based on your preferences. Next, head to the RVShare search bar and do some shopping until you find the perfect RV for you.